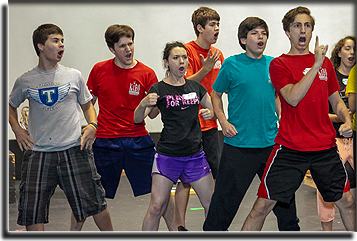 Musical Theatre & Entrepreneur Leadership are year round studies at Kids Who Care. Kids Who Care is dedicated to producing great kids through the combustion of Musical Theatre and Entrepreneur Leadership. 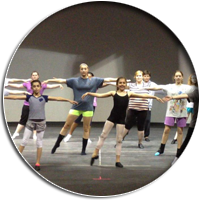 We offer camps and classes for all ages and skill levels and an opportunity to study and tour with our Resident Company. 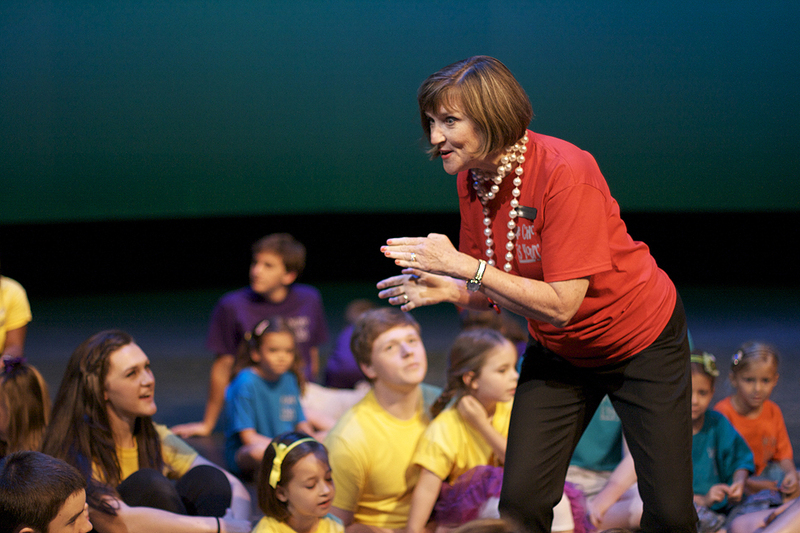 Kids from across Texas, the US, and abroad come to Kids Who Care's unique musical theatre camps. 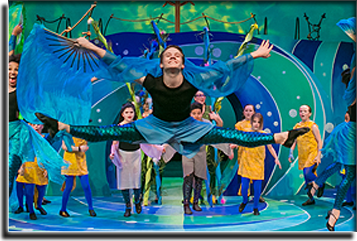 By creating a summer performance experience for young artists in a professional venue, kids are exposed to the real life process of musical theatre & leadership. From the audition to opening night, KWC creates a powerful, life-changing experience. 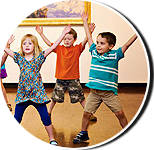 Kids Who Care offers classes to Kids of all ages. These classes are designed for all levels; perfect for the beginner who wants to explore theatre, or for the advanced student interested in skill-specific study. All instructors are degreed and are performing professionals who love to work with kids. 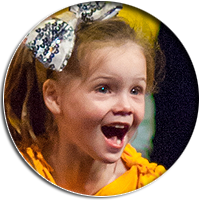 Our Resident Company is a group of 50-60 energetic performers ages 6-18 who audition to tour Kids Who Care's original works. The kids perform from October-May each year. In addition, these young artists study musical theatre three days a week at Kids Who Care. 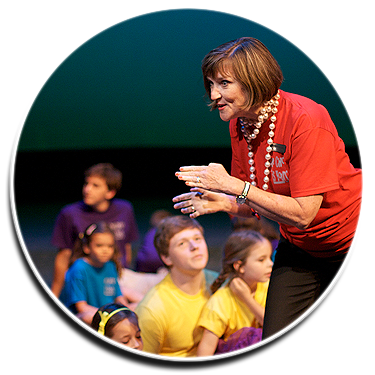 Kids Who Care offers leadership, musical theatre, and staff development workshops tailored to your specific audience and needs. Whether you are goal setting at your Board of Directors retreat, fulfilling scout badge requirements, or motivating an entire corporate team, our professional staff will energize, challenge and motivate any group. Ratio of campers to leaders is 2 to 1! Have fun and dress up each day! This will be Allyson's fourth summer at KWC. A senior at Texas Woman's University, she has performed with the TWU Concert Choir, Chamber Singers, and International Dance Company. An Intern with TWU's Community Dance Center, Allyson will receive her B.A. in Dance and Vocal Performance with an Education Minor. Spend a week with kids your age doing what actor's get to do every day� Become someone else! Create stories that entertain and learn to make words jump off the page! You will be amazed at your child�s confidence after just one week! Natalie Guess, a graduate of TCU with a double major in education and theater. Miss Guess currently teaches 7th and 8th grade theatre at McLean Middle School. She is Returning to Kids Who Care for her second summer, after working Natalie appeared on stage on Kids Who Care's 2018 "Choices". 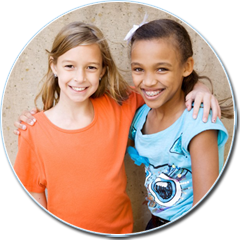 One week at Kids Who Care and you�ll feel like a member of a true ensemble! From finishing each other�s sentences in an Improv, to learning to pitch your creative idea to a team and watch it evolve. Come discover your own creative genius! Devin Berg, a playwright, performer, & teaching artist, holds a BFA in Musical Theatre from TCU. Devin last appeared on stage at Kids Who Care as Fiona in "Shrek" in 2016. She is a lead vocalist in the Royal Court Theatre Company, and a teacher for Kids Who Care, The Actor's Studio, and Story Stage. Join us this summer for a one week Masterclass in a specialized acting technique. Work with a local Professional Actor to take your talent to the next level while making friends from across the City! Experience being a full time actor! Use our Extended Day services for early drop off at 8 a.m.
For a once in a lifetime performance experience with friends of all ages! All returning campers can apply for Leadership! 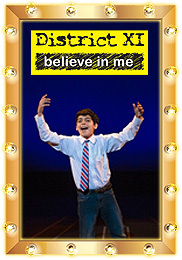 Producing: District XI: Believe In Me! NEW! 2 or 3 Week Options! Work with a professional team of directors, choreographers, and designers in Fort Worth's Cultural District. Use our Extended Day services for early drop off at 8 am. Public Performances at the Scott Theatre July 26-28, 2019. A Cast of kids from north Texas, across the U.S. and exchange students from around the world. Click here to see a song from one our original musicals. Option to Host an Exchange Student in your home. Everything we do starts with Leadership! We give every Kid a chance to discover their leadership potential! Kids as young as 7, and as advanced as a 20 year old on a university track, return summer after summer for KidPower Summer Leadership, a unique entrepreneur leadership experience packed with Intense Fun! Who Can Participate in KidPower Leadership? New Campers may participate by simply registering for the 3 Week July Camp. By the end of Week 1, New Campers are invited to serve as Apprentices on the Leadership Team side by side with our Expert Leaders. Serving as an Apprentice is NOT REQUIRED, some students opt to participate as performers only. 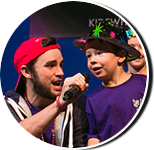 Returning Campers are encouraged to apply for the KidPower Leadership Team in Dec/Jan prior to Camp. Applications are available in December, and leaders are selected by the end of January. Once selected the Leadership Team will register for camp with a special access code. Returning Leaders who do not apply in Dec/Jan may lead as July Apprentices by registering for the 3 Week July Camp. The Summer KidPower Leadership Team receives an Intense Entrepreneur Leadership Education the week prior to camp in preparation to lead. Daily ongoing practicum throughout June and July creates hands-on, real-life experiences that mold children into inspired leaders and entrepreneurial thinkers. Click Here for Online Registration or Call us Today @817-737-5437. 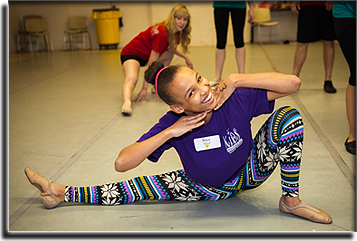 Kids Who Care offers classes for the beginner who wants to explore musical theatre, or for the advanced student interested in skill-specific study. 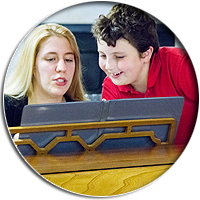 All instructors are degreed or performing professionals who love to work with kids. 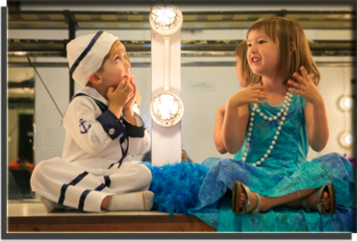 Storybook Theatre is an exciting entry level theatre course designed specifically for our youngest performers. Through Concentration, Observation, Cooperation, Imagination and Sensory Recall, children bring their favorite stories to life while building these three basic confidences: Vocal Confidence, Physical Confidence, and Creative Confidence. 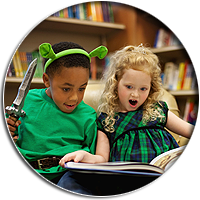 Storybook Theatre class students will explore well-loved books focusing on storylines, characters, and how to put a story on its feet, all while acting it out with friends. Hope is the Kids Who Care Education Director and assistant directs the Resident Company. 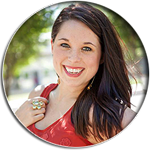 A graduate of The University of Texas, Hope received her BFA in theatre education with an emphasis in early childhood education. Resumes, Interviews, Hopes and Dreams! 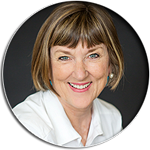 Join Development Director and KidPower Board sponsor Kathryn Albright as she takes the talents you have and hones them into the skills you need. It's the best class you can take for adulting! Everything we do at Kids Who Care starts with Leadership! AND at Kids Who Care we give every Kid a chance to discover their true leadership potential. "I was taught to strive not because there were any guarantees of success but because the act of striving is in itself the only way to keep faith with life." Kathryn is the KWC Development Director. She received her B.S. in Communication Disorders and her M.A. in Audiology from the University of Texas at Austin. Through her tenure she has served as Marketing Director, International Relations Coordinator and as the Business Operations Director for KWC. A well rounded theatre class with focus on Training for the Actor. 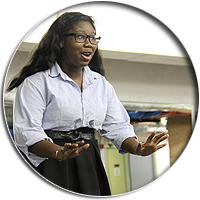 Actor's Studio builds Vocal Confidence, Physical Confidence, and Creative Confidence. Students will become braver and more expressive, all while studying selections from well-known productions. This class includes an end-of-semester showcase for families and friends, and an end-of-year guest appearance with KWC's Resident Company on the Scott Theater Stage. 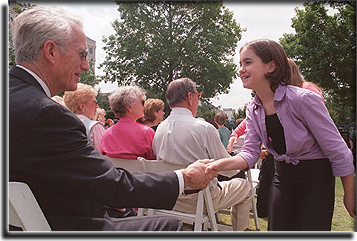 Students will learn and utilize tools and techniques developed by Arthur Lessac as they select, study, and perform classic poems by authors such as Shel Silverstein and Jack Prelutzky. Monday Instructor: Hope Wilton is the Education Director at Kids Who Care. With a BFA in Theatre Education from the University of Texas at Austin Hope specializes in Creative Dramatics, Audition Techniques, and Contemporary Acting. Deborah Jung is the Founding Director of Kids Who Care. 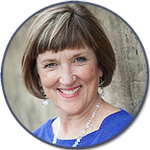 She received her BA in Theatre from Trinity University and specializes in Creative Dramatics, Lessac Voice and Diction, and Shakespeare, her work also includes special populations including MHMR, Tarrant County Juvenile Detention Center, Texas Gifted and Talented, and Cook Children's. This class will focus on building a strong foundation of Audition Techniques that will give your child a leg up in any upcoming audition or performance! Students will leave this class with audition material, an artistic resume to continue building upon, and most importantly, confidence. Monday Instructor: Peyton Meachum is a recent graduate of Oklahoma State University where she studied Musical Theatre. Payton has performed on stage at Oklahoma State University, Casa Manana and Shakespeare Dallas. Wednesday Instructor: Devin Berg is a playwright, performer, and teaching artist. She attended Texas Christian University for her BFA in Musical Theatre. Receive specialty theatre, music and dance training. Resident Company members will participate in classes designed to teach focused skill specific curriculum. From Shakespeare to Spoken Word, Ballet to Hip Hop, this programing taught by industry professionals takes performers to the next level. Resident Company Members will tour "Choices" locally and take part in a study tour in March 2019. The Resident Company is "select soccer" for theatre! The Resident Company combines the fun of building lifetime friendships with a nine month musical theatre experience. 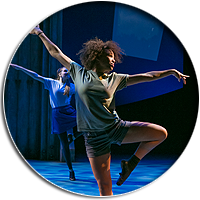 Classes offered allow students to study Spoken Word Musicals, Improv,Voice and Diction, Contemporary Scene Study and weekly dance classes including , tap, hip hop, ballet and jazz. In addition to weekly classes, the Resident Company will perfect performance skills while participating in weekly rehearsals for a local tour. The Resident Company will Participate in an annual study tour during Spring Break 2019. Study tour not required. Learn more about our Teachers. Learn more about Resident Company. 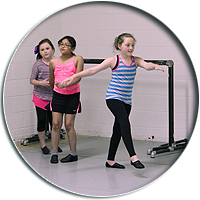 This is the perfect class for new dancers who are excited to learn and are beginning to explore dance. This class will teach you the vocabulary and dance basics that will give you a solid base that you will build on in more advanced classes for years to come. This class includes an end-of-semester showcase for families and friends, and an end-of-year guest appearance with KWC's Resident Company on the Scott Theater Stage. The small class size makes creates an intimate environment to learn and includes an end-of-semester showcase for family and friends in the Spring. With a BA in Drama Education from the University of Windsor, she is currently pursuing her M.Ed at UNT in Theatre. 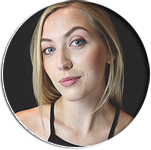 She was part of the Lancer Competitive Dance Co., a professional cheerleader with the National Basketball League of Canada, and has trained with professional choreographers in both Canada and the US. This is a wonderful class for dancers with experience! If you have already begun your journey as a dancer, this class will help you fine tune your skill as a dancer and prepare you for more advanced courses. Come take this class to sharpen terminology, movement, warm-ups, and technique. This class is designed to take all dancers to the next level. Calling all dancers! If you find yourself caught somewhere between the intermediate and advanced skill set, this class will challenge you to become better! 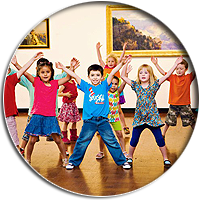 You will learn challenging and fun choreography while strengthening your abilities as a dancer. This class will prepare you to blow them away in auditions with your new-found confidence and skills. A graduate of Texas Tech University, with a BA in Dance. An alum of Kids Who Care, she has trained with Carrie Cheng, Webster Dean, Elise Lavallee, and The Broadway Theatre Project. 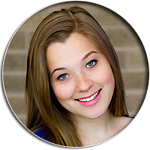 Kids Who Care�s Resident Choreographer, she also choreographs in Syracuse, NY, at Red House Arts Center, and performs with Granbury Theatre Company. 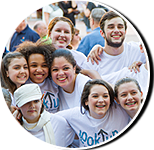 Kids Who Care's Resident Company is a group of 50-60 energetic performers who audition to tour Kids Who Care's original works locally from September-May each year. Directed by Founding Executive Director Deborah Jung, the Resident Company uniquely ranges in age from 6-18 and represents 30-40 schools from across the area. In addition to performing, these young artists study musical theatre three days a week at Kids Who Care and practice leadership skills to act as ambassadors of Kids Who Care's mission. "You never have to be a triple threat at Kids Who Care, but it's a place where you can become one." The Resident Company Auditions are comprised of three different sections - Vocal, Acting, and Dance. Each student participates in all 3, but does not need to excel in all. The point is to have fun and try! Please Call the Kids Who Care Office (817) 737-5437 to schedule your Monologue and Vocal Audition Time. How to Prepare? Come to our Audition Workshop! Go to the Calendar Events Page for more info. The Required Essential Element? Come ready to have FUN! Memorize a 30-40 second monologue or poem. Please select your material from a published play or published poem. You have more fun with great words! Always select a monologue written for someone your age. Memorize one verse and chorus of a song. No more than 40 seconds please. Please do not use a song from a Kids Who Care Original Musical as we do not have full piano accompaniment for the actor. No prior training required to audition. The Choreographer will teach both beginner and advanced combinations. Wear Closed Toe Shoes. Jazz, Ballet, or tennis shoes are great. Wear clothing that is easy to move in (no jeans, unless stretchy). In Sept-May, Resident Company members attend weekly classes from 4:45-6:15 on Tuesday/Thursday with a weekly Friday rehearsal from 4:45-6:15. Professional/degreed instructors offer skill specific classes including; vocal performance, dance (ballet, tap, modern, hip-hop), voice and diction, classic and contemporary acting studios, improvisation, audition technique, creative dramatics and creative movement. The Resident Company curriculum is designed specifically each semester to build the skills of the current company members. Learn more about our 2018 - 2019 Teachers. Each child that tours brings this global wealth home to Fort Worth and our community. Past tours include Reggio Emilia, Italy, Washington DC, New York, Trier, Germany, Boston, Orlando, Chicago, Los Angeles, Albania, Austin, Houston, San Antonio, and Corpus Christi. 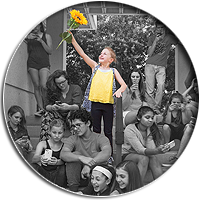 Each October and May, the Resident Company performs the latest Kids Who Care original work in our home, the Scott Theatre, located in the heart of the Fort Worth Cultural District. Each public performance is matched with a series of School Day performances for children and their teachers. Fine arts field trips are available this year on Fridays at 10 and 11:30 a.m. with Public Performances at 7:30 p.m. Since 1990, Kids Who Care has premiered a new original musical with a message designed to change the world with its July Summer Company. This original work is toured by the Resident Company throughout the school year. 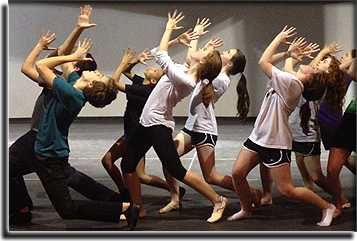 The creative process begins during the school year with the Resident Company of youth actors. In a series of writing workshops, this group is encouraged to explore issues they are concerned about...issues about which they want their opinions and voices heard. Their ideas and material are then shared with a group of adult musicians and writers who tweak, embellish, and create accompanying songs and dialogue. The result is a powerful production with a message that cannot be ignored especially when performed by an exuberant cast of young actors! These productions are performed by youth actors for audiences of all ages and because they are initiated with youth's concerns, the messages are powerfully delivered and received. Kids Who Care is available to come to your event! Pricing is negotiated per performance and varies based on venue, size of audience, length of show, travel costs and lighting and sound system requirements. Non-profits and schools may apply for reduced fee performances if needed. For more information about booking the Resident Company Call 817-737-5437 or email Kristen Thiebaud. Bring your school to the Scott Theatre to experience a powerful production performed by a cast of young actors! School day tickets are available for the reduced price of $6 per student with one teacher per class free. Title 1 Schools may apply for grant supported tickets and transportation funding. Call 817-737-5437. 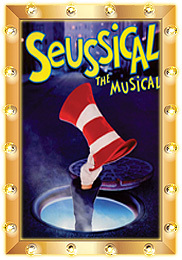 Tickets for the evening public performances may be purchased at kidswhocare.org. 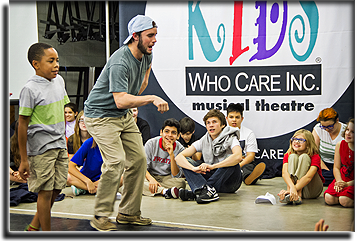 Kids Who Care provides customized theatre workshops based on dynamic teaching philosophies developed at Kids Who Care. 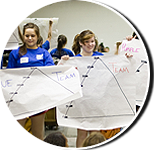 These teambuilding style theatre workshops are perfect for everything from a teacher in-service day, to an International Thespian Convention, to a Scout Troupe earning a badge. These workshops infuse fun into a skill specific curriculum with KidPower Leadership at the center. Workshops can be as short as an hour or as long as a full day. Residencies are available for up to three weeks. Creative Dramatics in the Elementary Classroom - - Click Here to Learn More. Intersession Productions for your school - Ask Us about Kids Who Care in a Box! Please go to our KidPower Leadership page for related workshops. For More information contact Kristen Thiebaud. Learn the technique for a great audition, and take your audition to the next level! Kids Who Care hosts How to Audition Workshops ($15) and Prepared Audition Workshops ($25) to help actors improve their resumes, headshots, audition material, and overall performance. The �How to Audition Workshop� will inform participants on what to expect and how to prepare, and include a walk-through of the audition process. The �Prepared Audition Workshop� will give participants an opportunity to perform material and receive direct coaching and feedback in order to improve their audition. Check the Event Calendar to make sure you don�t miss this opportunity to work with industry professionals. It is Kids Who Care's desire is to provide the benefits of fine arts and leadership education to all kids regardless of their financial situation. KWC offers need-based Hope scholarships (named after Founding Director Deborah Jung's grandmother, Hope Murphy) to qualified applicants. Application for a Hope Scholarship is a two-step process. Applicants' families must submit documentation to verify their financial status for financial pre-qualification. Once financial pre-qualification is secured, the applicant is scheduled for an interview/audition to evaluate the child's desire to participate. Hope Scholarships are awarded for financial need and are not based on talent. Most scholarship families have an average annual gross income of $25,000 or less. Both full and partial scholarships are available. Applications are accepted through January 16. The scholarship audition will be scheduled in late January. Applications are accepted through April 16. The scholarship audition for those approved will be in late April. Applications are accepted through May 16. The scholarship audition for those approved will be in late May. Applications are accepted through July 25. The scholarship audition for those approved will be in early August. Applications are accepted through December 10. The scholarship audition for those approved will be in early January. Aaron Rivera Scholarships It is Kids Who Care's desire to make available the quality of life benefits of fine arts and leadership training to kids who are, or have a family member who is, undergoing a significant medical crisis that has placed a financial burden on the family. Aaron Rivera Scholarships are named in memory of a 10 year KWC Resident Company member who battled cancer during his entire tenure at KWC. Application for an Aaron Rivera Scholarship is a two-step process. Applicant's families must submit documentation to verify both medical status and financial need for pre-qualification. Once pre-qualification is secured, the applicant is scheduled for an interview/audition to evaluate the child's desire to participate. Aaron Rivera Scholarships are awarded for financial need and are not based on talent. There is no average family income for this scholarship. Both full and partial scholarships are available. Through leadership training, fine arts education, and performance, Kids Who Care is building great leaders for our community. 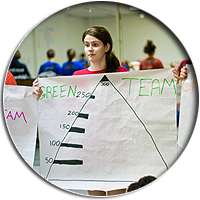 Kids Who Care makes available KidPower Leadership Training to all kids who are invited on the KidPower Leadership Team. These Scholarships are named in memory of a long time employee of The Scott Theatre, Orange Cunningham, who exemplified the characteristics of a KidPower Leader though his words and actions. Application for an Orange Cunningham Scholarship is a two-step process. Applicants must apply for and be accepted onto the KidPower Leadership Team. Once accepted, the applicant must attend KidPower Leadership Orientation, Letter Writing and training. Orange Cunningham Scholarships are only awarded to KidPower Team members for summer leadership training and practicum and are not based on financial need. All KidPower Leadership Team members receive a Leadership Training scholarship. Student and Camp Staff leaders also receive a tuition scholarship to cover their leadership practicum. Kids Who Care awards 30-40 financial Hope Scholarships and 75-85 leadership Orange Cunningham Scholarships each year. Annually, $150,000 is required to support the Scholarship Program. For more information about Scholarships, please email Zuilma Gonzalez ,Business Manager.